Do you like us? 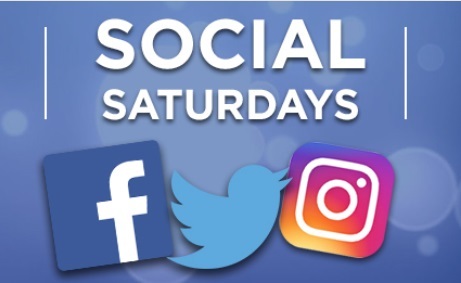 Get social with us every Saturday this summer for your chance to win awesome prizes! Win Live Racing Admission Passes! Get on Facebook. Check in at Canterbury Park. Show the Track Level Information Booth that you checked in and two free admission passes will be added to your MVP account! Posting a pic from the track on Twitter or Instagram! Let’s see those smiling faces at Canterbury Park. Get in on our #CanterburyMe contest! Post your photo with hashtag by the end of Race 6 to qualify. Winners will be notified before the final race. Must be present to win. Note: There will be no live racing on Saturday, July 20 due to Twin Cities Summer Jam presented by Mystic Lake. *Check-in and win limited to one entry per Saturday. Must be 18+ to win and have an MVP Card. MVP Cards are Free. “Little” Big Thrill Factory opens 30 minutes prior to race start times. Games and attractions are available during live racing season. For more information and times, click here.